Do these sound like issues YOU should be allowing YOUR elected representatives and the officials they appoint to continually ignore? 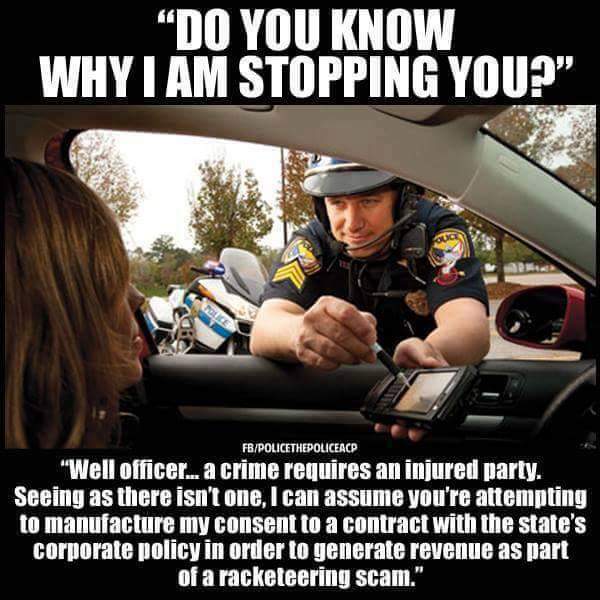 Especially when YOU and others in the public are paying them and they SWORE AND OATH TO SERVE THE PUBLIC AND PROTECT PUBLIC…. The City of Winnipeg has approximately 400,000 registered drivers not all of which regularly drive. Every year the City with concent of the Province of Manitoba is allowing 3rd Party for profit ACS / Xerox to issue up to 150,000 simple traffic offense notices to be send in the mail two weeks after the alleged offense occured and up to an additional 55,000 alleged simple traffic offenses issued by WPS Officers. This has been trending up for many years even though OUR legislators amended the HTA and created Conditions of Authority that require safety improvement from Photo Enforcement including reduction in accidents and violations. Accurate and complete stats be reported to the Province every year (they didn’t specifically say include stats for Mobile or Police Officer offenses or that they were to be accurate, complete and independently verified by unbiased or un-influenced 3rd party but they assumed this). Did anyone bother to ask them or our current legislators on their opinion? Or ask the Ombudsman? The vast majority of officer issued alledged traffic offenses are unfair or illegal due to the direction they given (Quotas, little to no disiplinary action when ignoring the HTA without emergency; policies and ethics) and actions SOME of them take to line their pockets and pad their pensions and they plus ACS operators are agressively targeting City Hall and Province known traffic engineering deficiencies instead of reporting them as required by regulations and by their sworn oath as Police or Peace Officers to protect and serve the public to the best of their ability. aggressively targeting City Hall and Province known traffic engineering deficiencies instead of reporting them as required by regulations and by their sworn oath as peace officers to protect and serve the public to the best of their ability. Similar Province permitted extortion of the public occurring with WPA / G4S. This adds up to 80 million of already taxed money being taken out of Winnipeg drivers and vehicle owners pockets every year most of which from unfair or illegal alledged traffic or parking offenses. With velocity of money that translates to over 14 Billion Since 2003. With interest savings that would have paid off all the City and Province’s Net Debt several years ago plus have a large Provincial trust fund or contingency fund that would grow with interest and be used to promote green energy and conservation etc… (but not a slush fund). Detailed 64 page study by Fraser Institute in 2014 said WPS the most overstaffed and inefficient force in Canada with numbers showing 300 more officers than needed based on per capita , demographics, pop, crime rates and much more. WPS annual reports showing serious crime second worst in Canada and has been for years. They respond with we don’t plan on making any changes other than check if stats get worse and do more enforcement. WPB and chair. Counc. Scott Gilligham ignore. Poll of 24k Canadians said Winnipeg the most unsafe City in Canada. OUR Mayor Brian Bowman smiles and says it ain’t that bad and he as well as Deputy Mayor Janice Lukes and others on EPC, City Council, WPS and WPB ignore. Salaries, OT, Pensions, Benefits, staff levels, management to staff ratios and expenses out of control and way above Canadian average at WPS, City Hall, MPIC, School Boards, and elsewhere at the City and Province. Net debt for Province and City is over $22 Billion and $1 Billion and combined with forcasted deficits, debt ceiling increases and crippling interest payments triggered credit rating with only winners being the wealthy bankers and the politicians or parties they donate to. Premier Brian Pallister, Deputy Mayor ; Minister of Justice /AG Heather Stefanson and others past or present at the Province and City who OUR legislators were made aware of all this and are ignoring for the most part. It long overdue FOR YOU TO DEMAND your and the general public’s rights be upheld and to be treated with fairness, respect and honesty NEVER MIND LEGALLY! That your Police, Justice System, Taxes, Fees, Fines and other public services and general revenue be used fairly, honestly and efficiently NEVER MIND LEGALLY! SHARE YOUR COMMUNICATION TO INCOURAGE OTHERS TO DO THE SAME. SHARE YOUR RESPONSES OR LACK OF, IF YOU IGNORED CONTACT THE OMBUDSMAN AND SHARE THAT AS WELL. THEY DESIGNED AND BUILT IT SO LARGE AND GRAND AS WE WERE GROWING FASTER THEN ANY OTHER CITY IN CANADA AND EVEN OUTPACING CHICAGO. THEY BUILD IT TO BE A TEMPLE BUT NOT ONE TO SERVE A GOD BUT ONE TO SERVE THE PEOPLE. IT’S LOCATION, ARCHITECTURE AND HIDDEN HERMETIC CODE WAS MEANT TO FUNNEL POSITIVE ENERGY FROM THE PEOPLE AND ELSEWHERE TO OUR LEADERS WITHIN TO HELP GUIDE THEM. WE HAVE FAILED TO KEEP OUR SIDE OF THE DEAL AND ARE ONLY FUNNELING NEGATIVE ENERGY. WE NEED TO FUNNEL POSITIVE ENERGY BY TELLING THEM WHAT WE EXPECT INCLUDING THEM SPENDING MORE TIME WORKING IN OUR GREAT BUILDING AND FOR THE PEOPLE. This entry was posted in News and politics, Sustainability. Bookmark the permalink.